Did you say: "THREE hour lessons?" 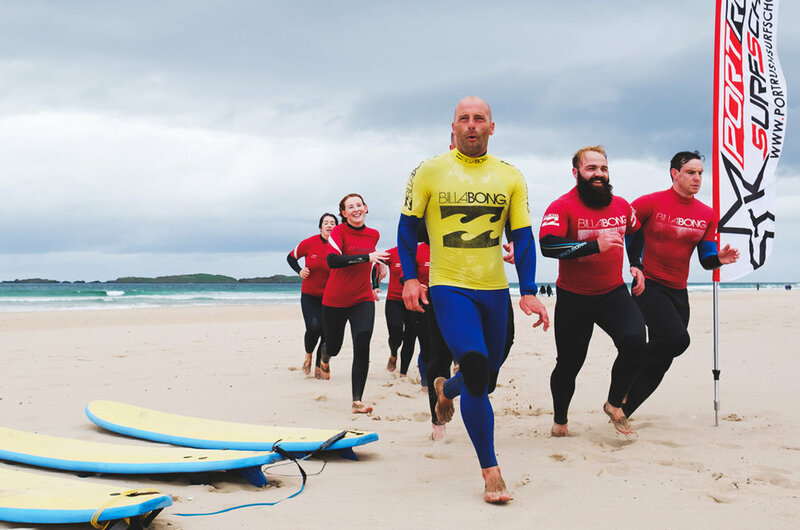 At Portrush Surf School we only run 2 day time sessions each day. We are the only school in Portrush to operate a 30 min check in time and 30 mins shower down time. This allows us to ensure you actually do get 2 full hours surfing time in the water. Nothing worse than a 45 min surf lesson...! 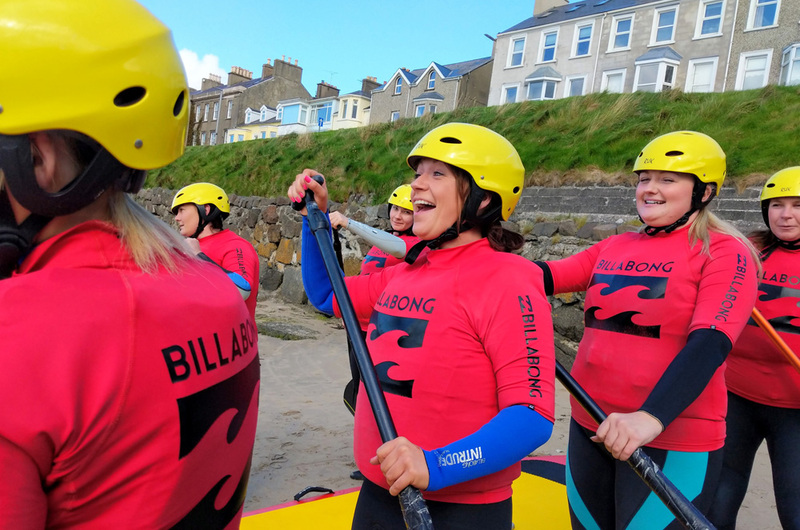 Portrush Surf School is exclusively based at Portrush Yacht Club. With indoor private male and female changing rooms and fantastic steamy hot showers all included in the price of your lessons it makes it simple to choose us. We wont have our clients getting changed in a cold wet public toilet…! We offer our clients the best facilities on the North Coast. Portrush Yacht Club offers a full Café & Bar for pre and après Surf with family & friends always welcome. Our most popular class. This is the ideal entry level Surf class for the first timer wanting to get a taste of the waves. There is a reason why SUP Stand Up Paddle Boarding is one of the fastest growing water sports on the planet. Join us for lessons and experiences. The most fun Group Session we have on offer with our Giant SUP. Our NEWEST as MOST EXCITING Activity. Yep, its an inflatable 18ft Super Size Stand Up Paddle Board that is specifically built for Groups. Head coach Matin "TK" Kelly is an 11 Times Irish National BodyboardChampion. He's not afraid to go deep and hard!